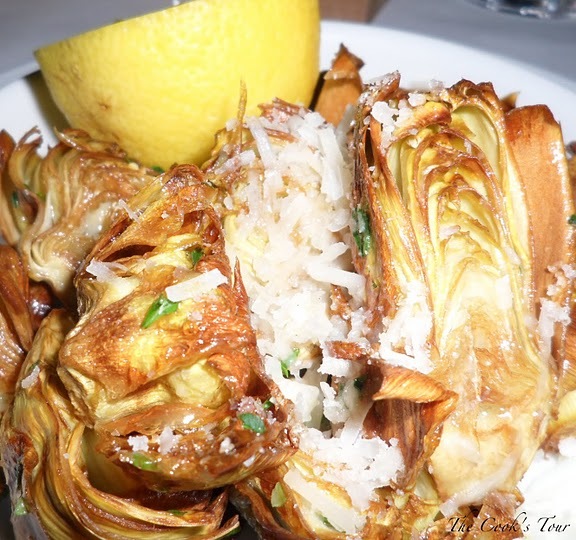 You may be thinking exactly what I thought when I first heard about Grato…”another Italian restaurant in a state that has more Italian restaurants than Imelda Marcos had shoes?” But wait! This one is different. How, you ask? Well, for starters, the Executive Chef worked at Gramercy Tavern, honing his skills in the Danny Meyer school of fine dining. Second, it appears that the chef brought along the outstanding service Meyer’s restaurants are known for. This bodes well. Grato is part of the Harvest Restaurant Group, the parent company for some of the best known and well loved restaurants in north Jersey, such as Huntley Tavern in Summit, Tabor Road Tavern (the next door neighbor of Grato), and Trap Rock in Berkeley Heights. I’ve eaten at one or two of these over the years, and while they are all good, none of them ever blew me away. Until Grato. Grato has the winning combination of a carefully thought out menu, a stellar wine and cocktail list, well executed and delicious food, and professional, gracious service. Entering the restaurant, to your left is a small but welcoming bar, where you won’t mind relaxing for a bit if you have to wait for a table. Once seated, your table is capably serviced by a team of two waiters. I thoroughly enjoyed the Grato Signature Bellini (Prosecco & Passion Fruit Puree) while reviewing the menu. Getting down to business, our appetizers included a delicious Burrata & Raspberry Salad (arugula, pistachios, mint, vincotto & EVOO), and Fried Artichokes. 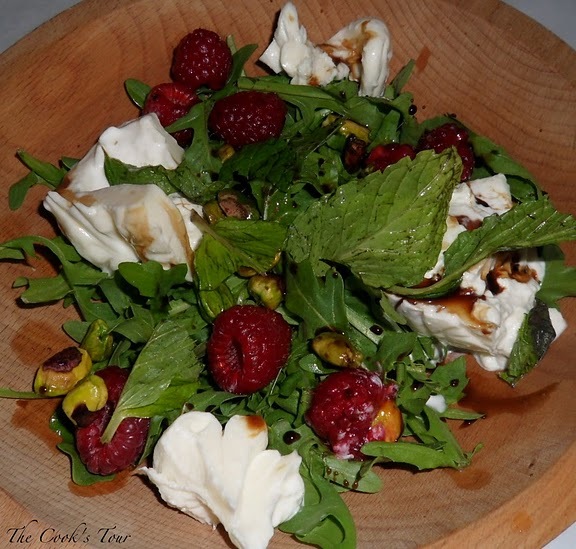 The creamy burrata with the tart raspberries and peppery arugula was luscious. And the fried artichokes were the best I’ve had since discovering the gold standard of fried artichokes at the trattorias in the Jewish Ghetto of Rome a few years ago – crisp artichoke hearts dressed with parmesan, parsley, and lemon (delicioso!). 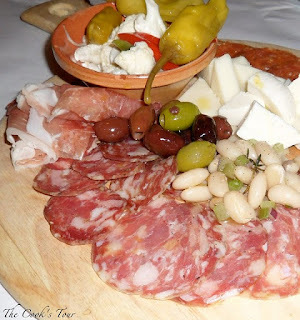 We also sampled the hearty Salumi Plate, an overflowing platter of tender prosciutto, salami, soppressata, pepperoni, cannelini beans, olives, and Italian cheeses. 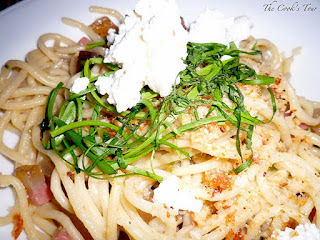 My dinner entree was a special that evening – Spaghetti & Ramps. Sounds like a simple peasant dish if I ever heard one. A glorious bowl of wild leeks tossed with guanciale (unsmoked pork jowls), ricotta, chili flakes, garlic bread crumbs & parmesan. Not a strand was left in the bowl. 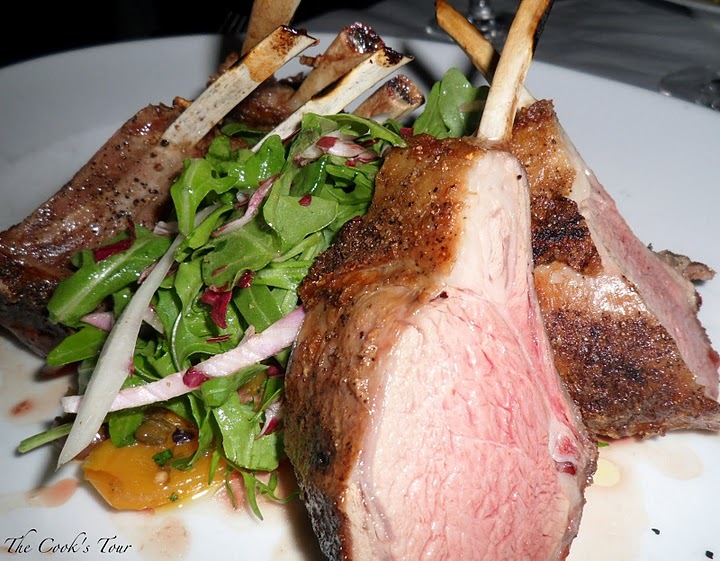 Another fabulous dish was the succulent Grilled Rack of Baby Lamb, served with eggplant caponata, tri-color greens & lemon vinaigrette. Tender, perfectly medium-rare chops set on a bed of sweet caponata. One of the finest lamb chop dishes we’ve ever had. And to top off the evening, Maple Sugar Zeppoles. Served in a brown paper bag as if they had just been ordered from a stand at the San Gennaro Festival, only better. Warm, lightly fried, dusted with maple sugar. I couldn’t ask for a better finish. Grato Ristorante – not your typical Italian restaurant, and that’s fine by me.